Denise Juneau is the most high profile of the three finalists for Seattle Public Schools superintendent. It’s unclear, though, how she would fare in an urban school district. 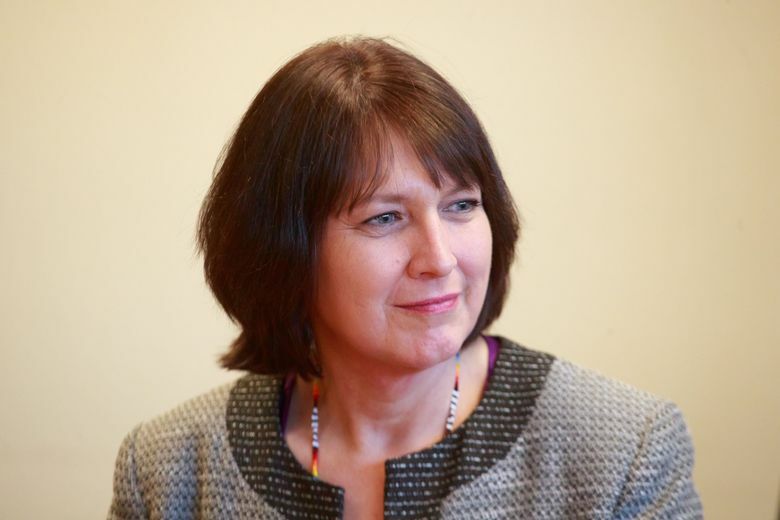 Denise Juneau sees parallels between her eight years as Montana schools chief and her potential new role as Seattle Public Schools superintendent. In her time as Montana state superintendent, Juneau oversaw an agency with a $1 billion budget and more than 200 employees who served about 145,000 students. She worked with a state board of education that didn’t always agree with her, or with each other. One of their main focuses was addressing the significant gaps in academic achievement between Native American students and their classmates. Her experience in Montana would translate well in Seattle, she said, if she were to become leader of the state’s largest district with a sometimes contentious board and significant academic achievement gaps of its own. 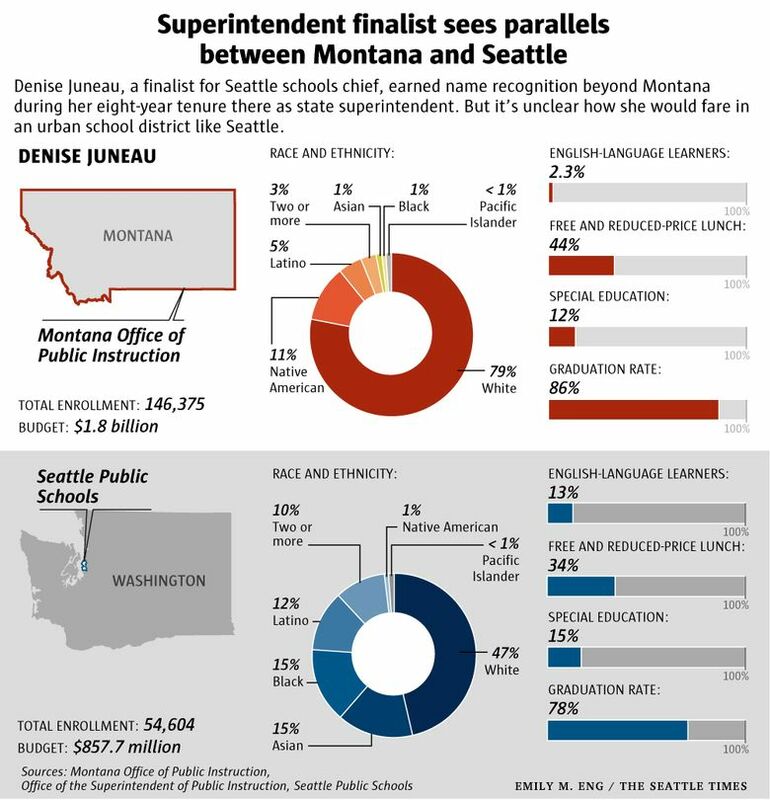 Of the three finalists for Seattle superintendent, Juneau is the most high-profile. She has name recognition that goes beyond Montana, in part because of her state superintendent victories and her run for Montana’s sole seat in the House of Representatives in 2016. Juneau, an enrolled member of the Mandan Hidatsa Arikara Nation, was the first Native woman in Montana to win statewide office. She became the state’s first openly gay candidate when she ran against Republican incumbent Ryan Zinke in the 2016 congressional race, which she lost by a 16-point margin. Now she wants to return to public education, she said, in a district that she thinks is doing meaningful work around equity. But it’s unclear how she would fare in Seattle, an urban district with 54,000 students, compared with Montana, where the largest district’s enrollment is about a fifth of that number. She attended Head Start, an early-education program for children in low-income families in Billings, then moved to Browning, the headquarters of the Blackfeet Indian Reservation. She grew up in a family of public-education advocates. Her parents taught, her grandmother was a school cook and her grandfather drove school buses. It was through her family that she saw public education as the “great equalizer.” Her mother also served from 1999 to 2010 in the Montana Senate. She earned a bachelor’s degree from Montana State University, a master’s degree from the Harvard Graduate School of Education and a law degree from the University of Montana School of Law. She worked in the state superintendent’s office, primarily doing work on Indian reservations, before running for and winning the top position. She’s most proud of the state’s Graduation Matters initiative, which she launched at the start of her first term after learning that thousands of Montana high schoolers had dropped out the year before. The programs were designed by the individual communities across the state and included schools, community members and businesses. She also created an advisory board for students to give their ideas about how to increase graduation rates. There were mixed results for another initiative, called Schools of Promise, that Juneau launched in 2009. Funded with federal dollars, Schools of Promise was a grant program for the lowest performing schools in the state — all on Native reservations. The schools had specific requirements, like adding time to the school day, to receive funding, which went toward services including teacher coaching and student counseling. Proficiency and graduation rates fluctuated, not showing a clear trend among the different schools or years. But Juneau said she’s proud of their efforts because so many different groups — schools, families, tribal councils, unions — all worked together. And there were smaller successes, like when she overheard a family at a restaurant talking about how they thought their school had improved. “There are some things you don’t see in the numbers, but they’re important for communities and families to feel,” she said Thursday at the school district’s public forum for finalists. During her two terms, she says, she fought charter schools, a sentiment shared by School Board members who have passed resolutions opposing any new charter schools in the city. Her 2016 congressional campaign as a Democrat, while historic, was considered a longshot in the deep red state against Zinke, the incumbent Republican who was named U.S. secretary of the Interior a year later. In Seattle, Sarah Sense Wilson, president of the Urban Native Education Alliance, called Juneau a viable candidate for superintendent with “working knowledge of tribal government, budgets, politics and bridging cultural divides.” But she said there are significant disparities among racial and economic groups of students, which are unique to Seattle and complicate decision-making and processes. Juneau and her supporters say the outcomes she wants to see — a shrinking achievement gap, higher graduation rates — may take several years. But unlike current Superintendent Larry Nyland, who repeatedly said his time as superintendent would be short, Juneau said she would stick around. If School Board members are clear about what they want, then Juneau can make it happen, said Eric Feaver, president of Montana’s largest labor union, which includes teachers and staff. 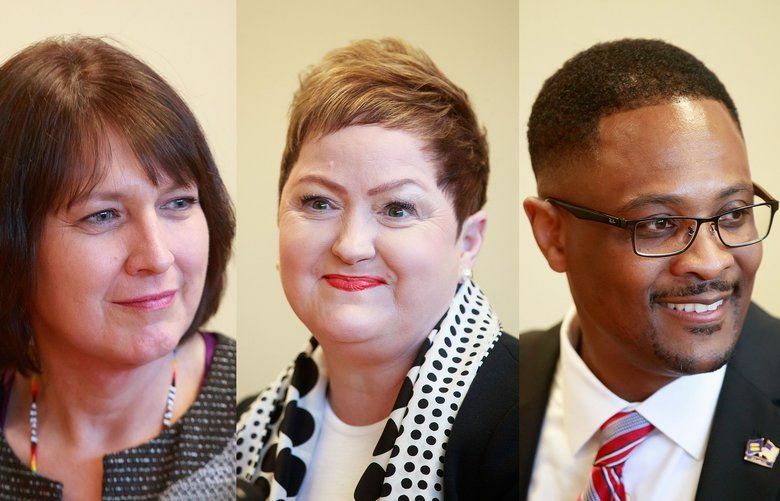 But there might be trouble if there is confusion about the district’s agenda and objectives, he said, noting that the Seattle’s next superintendent will be the third in six years.